Want to stay up to date on the latest additions to the website? 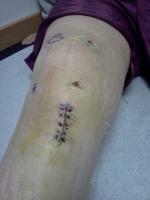 Interested in getting tips on common injuries, rehabilitation, and treatment. Sign up for the ATC and get updates delivered straight to your inbox. Every month or two I send out a new article on prevention, treatment, or recovery for sports injuries. It is also the best way to make sure you are notified about all of the new information on the website. Keep up to date with Sports Injury Info, and subscribe today. Your email address is secure, and I will only use it to send you the monthly newsletter. As a thank you for subscribing, you can receive a free copy of Flexibility Solutions: Lower body. This downloadable ebook provides a full lower body stretching program that can significantly improve your lower body flexibility in just 10 minutes a day. 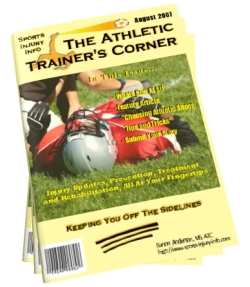 It is only available to The Athletic Trainer's Corner subscribers. Use the form below to enter your information, and then follow the instructions on the thank you page to receive your free ebook.